Twisted 7s has two different looks! Use Twisted 7s for Twisted Log Cabin when a 5 inch hoop size is required. Twisted 7s has two different looks and two different instruction guides. When made with two colors the block looks like it is spiraling. Use Twisted 7s for Twisted Log Cabin when a 5 inch hoop size is required. See additional images in the top left corner of this page. 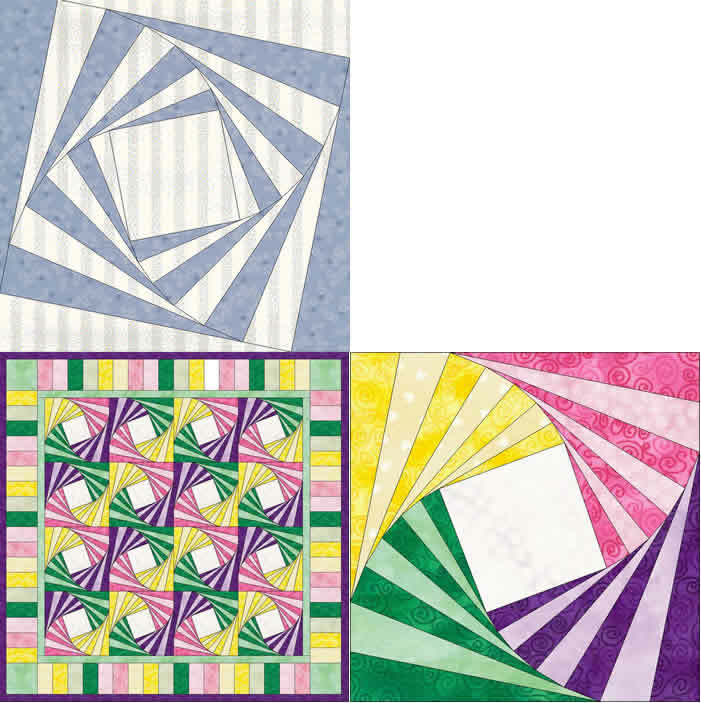 Available for instant download in 5 inch and 8 inch blocks.